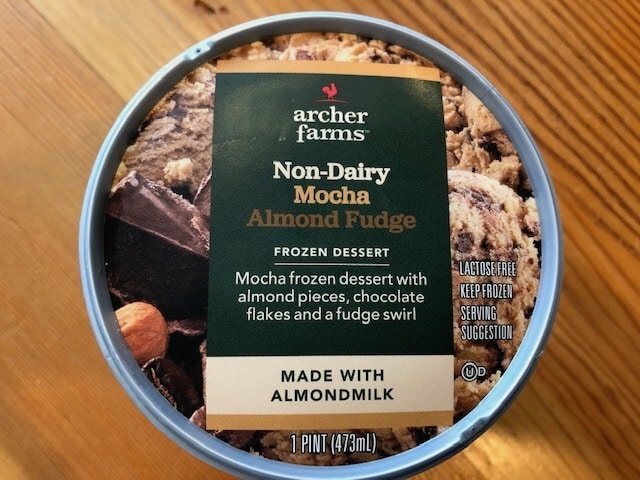 Next in our exploration of Archer Farms non-dairy ice creams is mocha almond fudge. 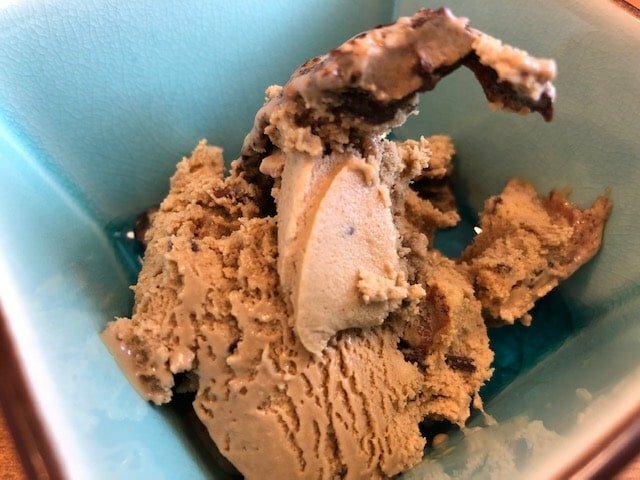 This almond-milk-based ice cream is very heavy on the mocha; it had almost a slight bitterness to it, the way dark chocolate sometimes does. 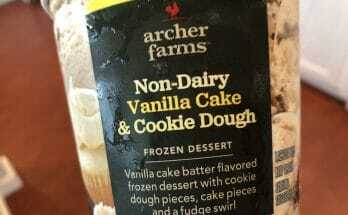 So, the flavor is intense (which is either good or not so much, depending on what you want in an ice cream). The bits of almonds and chocolate flakes add a wonderful crunch to each bite, and there’s plenty of chocolate swirled in for the chocaholics out there. One of our tasters much preferred the Haagen Dazs due in part to the heavy mocha flavor. 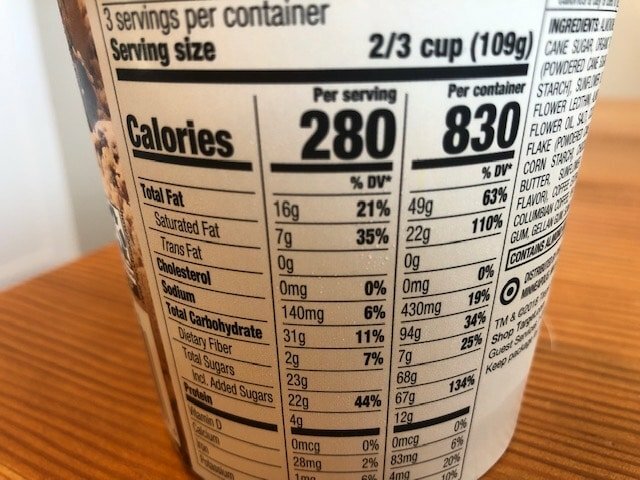 One thing we did love was the fact that the nutrition label lists not only the nutritional content per (tiny) serving but the content for the entire pint (which is much more in line with the way we tend to eat vegan ice cream) — so it was nice not to have to do any math, but on the other hand, did we really want to see that glaring 830-calorie number in such large type on the back? 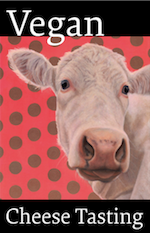 Either way, it’s worth a try if you love mocha and chocolate — and don’t miss the many other non-dairy flavors from Archer Farms.